The basis for George Stevens’s major motion picture starring Katharine Hepburn in her Oscar-nominated leading role. In a small Midwestern town in the wake of World War I, Alice Adams delightedly finds herself being pursued by Arthur Russell, a gentleman of a higher social class in life. Desperate to keep her family's lower-middle-class status a secret, she and her parents concoct various schemes to keep their family afloat. Though the realities of her situation eventually reveal themselves and her relationship with Arthur fizzles, Alice's acceptance of this leads her to seek out work to support her family with an admirable resiliency. An enchanting and authentic tale of a family's aspirations to seek more out of life, Alice Adams reveals the strength of the human spirit and its incredible ability to evolve. 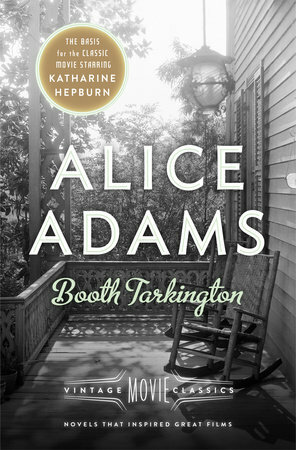 Originally published in 1921, this bestselling Pulitzer Prize-winning novel was adapted into film twice, and its heroine, the sparkling Alice Adams, still resonates with readers today. With a new foreword by Anne Edwards.